Fluctuating unfavorable weather conditions last month had cost Transam Fiji Limited more than $10,000 while waiting to off load clinker from Suva’s Kings Wharf. Local ship agent Transam Fiji Limited operations manager Madhulesh Lakhan while refusing to disclose the exact figure said that it had cost them more than $10,000 for bulk vessel Poavosa Wisdom VIII to remain in port. “We can’t disclose the exact figure but it had cost us more than $10,000 retaining the vessel,” Mr Lakhan said. 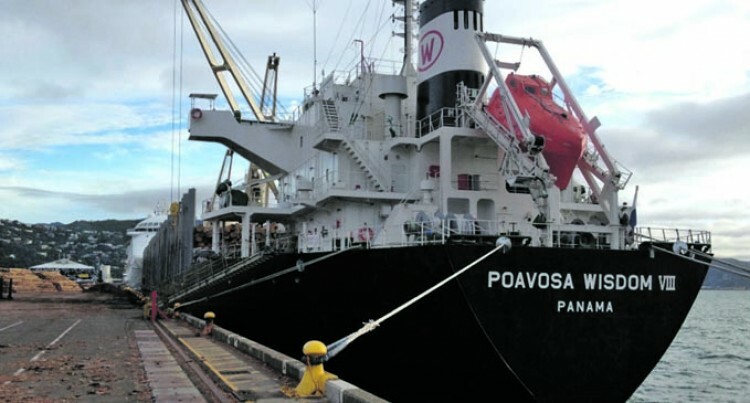 He confirmed that weather played a big part in the delaying of the transporting of clinker from bulk carrier Poavosa Wisdom VIII for two cement factories’ order. “We provide transportation to two factories – Pacific Cement Limited and Tengy Cement factories,” he said. “The shipment for clinkers is done every three months. “It has been only a year since we have been involved in the shipping clinker to Fiji from Japan. “Pacific Direct Line (PDL) charters the vessels which transport clinker; we are the agents here to clear for the two cement companies. Tonnage is a measure of the cargo-carrying capacity of a ship. Mr Lakhan also shared some challenges they faced while discharging clinker. “The main challenge we face is dust and road spillage while transporting clinker from the vessel to its destinations. Poavosa Wisdom VIII was in port for 24 days from November 6 to 29, 2018. The next shipment of clinker is due end of January next year.